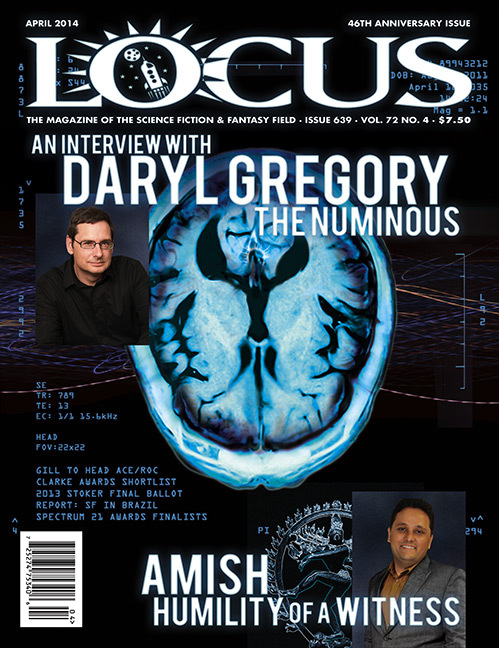 So the April issue of Locus is out, and I’m on the cover, next to my brain. That’s an angel hiding in the hemispheres, for all you folks who doubted my angelic nature. Okay, maybe it’s not my brain. The Locus website has an excerpt from the interview, in which I talk about neuroscience, my family, Afterparty, and other things I’ve written. The issue also has two reviews of Afterparty (snippets below). I’m a lucky man.